The US Dressage Finals presented by Adequan® showcases the top adult dressage competitors, from across the country, competing for national honors. The 300 plus competitors, which will consist of the top riders from each of the nine Great American/USDF Regional Championships, their support teams, and spectators will be looking forward to some opportune holiday shopping, making this a can't miss event! 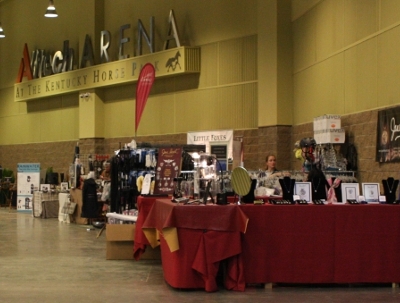 Sponsorship opportunities for the US Dressage Finals are now available. If your target audience includes the most active adult amateur and professional dressage competitors at all levels, trend setters and influencers from each of the nine USDF regions, and the dressage community at large, then being involved with this national event is a perfect fit. In addition to our presenting sponsorship category, held by Adequan, the US Dressage Finals is offering a limited number of additional sponsorships at the supporting and contributing levels. These sponsorships are customized to meet the objectives of our partners, while providing valued support to the US Dressage Finals. To explore a package that meets your objectives and maximizes the benefits of sponsorship contact sponsorship@usdf.org.